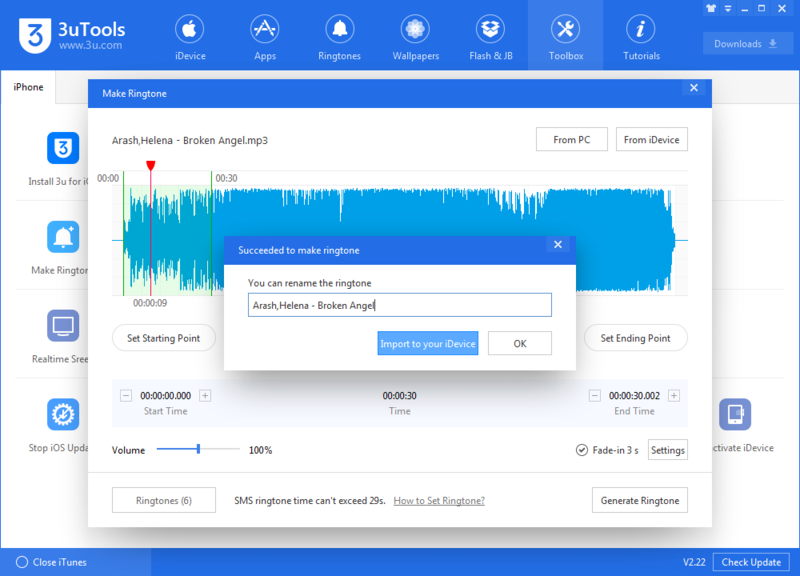 What’s New in V2.22 3uTools? Thread: What’s New in V2.22 3uTools? It has been two months since V2.21 3uTools was released. Now V2.22 3uTools is released with improvements. In these two months, 3uTools Developer Team has made effort to satisfy 3uTools users. However, we may not meet all the needs because of various factors. 1. 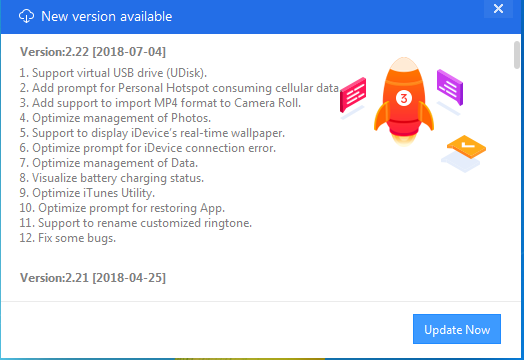 After you update to V2.22 3uTools, there is a new feature at the left side, ‘UDisk’, virtual USB drive. As the name implies, this is a virtual usb disk that can allow you store documents. If you don’t have a USB drive, you can import the documents here. This is not just an iPhone, but also a USB drive. 2. As result of only supporting mov format, not many users know 3uTools can allow users to import videos to Camera Roll. In V2.22 3uTools, users can import both mov and mp4 format videos to Camera Roll. 3. Directly rename the customized ringtone after you make it. Let's move to iDevice’s info, 3uTools displays your iDevice with its actual wallpaper(Home Screen). Compare to the one-size-fits-all wallpaper in old versions, this update improves user experience. Moreover, to visualize the charging status, 3uTools adds an icon. Optimize prompt for Personal Hotspot consumption. If you forget to turn off personal hotspot on your device, when you connect to PC, it will consume your cellular data. Optimize management of Photos and Data. Optimize prompt for iDevice connection error and restoring App. In the older versions, some Windows 10 users may encounter this error while flashing. V2.22 3uTools has already fixed this bug, please update to the latest version if you meet this error. 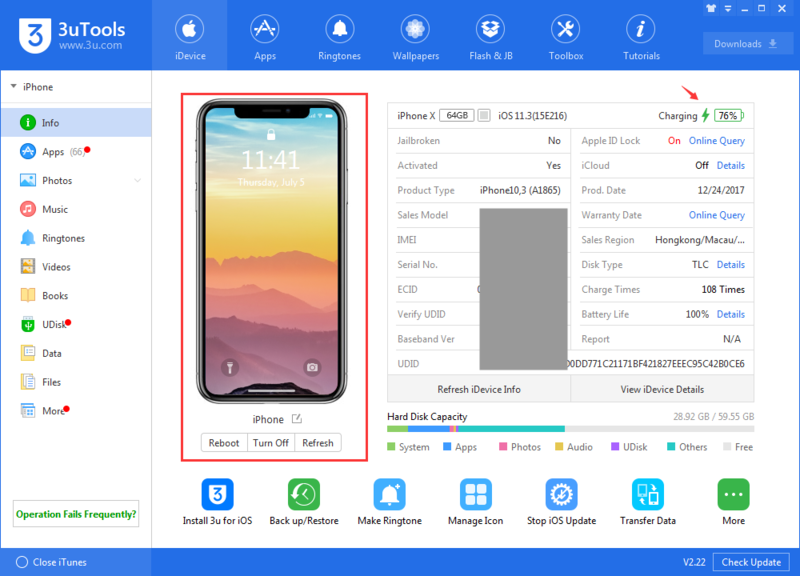 Electra jailbreak for iOS 11.3.1 will be released soon, 3uTools will add support once it is released. 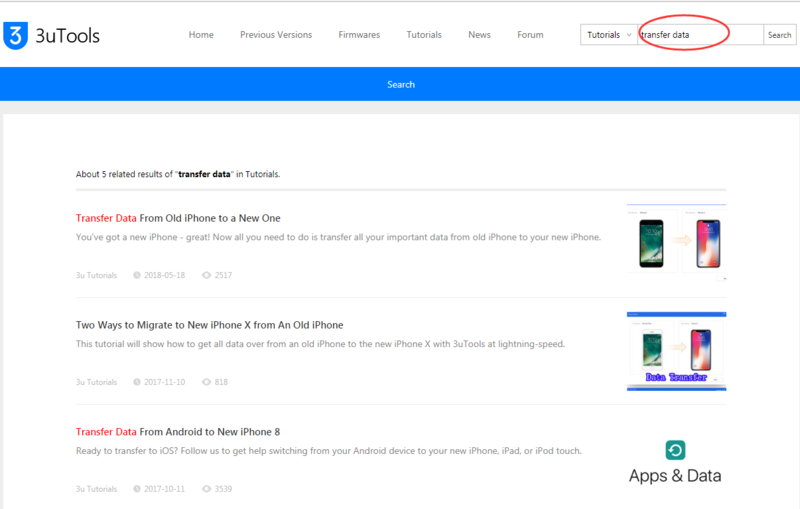 If you have any opinion and suggestion after you update to 3uTools V2.22, please feel free to contact us. › See More: What’s New in V2.22 3uTools? Hello, may I ask what's your iPhone model? 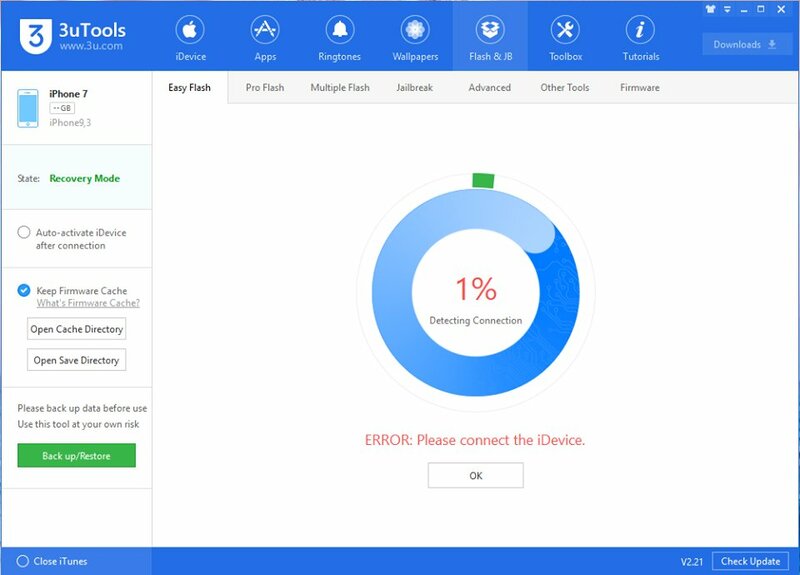 You could try to re-start 3uTools, and please keep a good connection with the network. 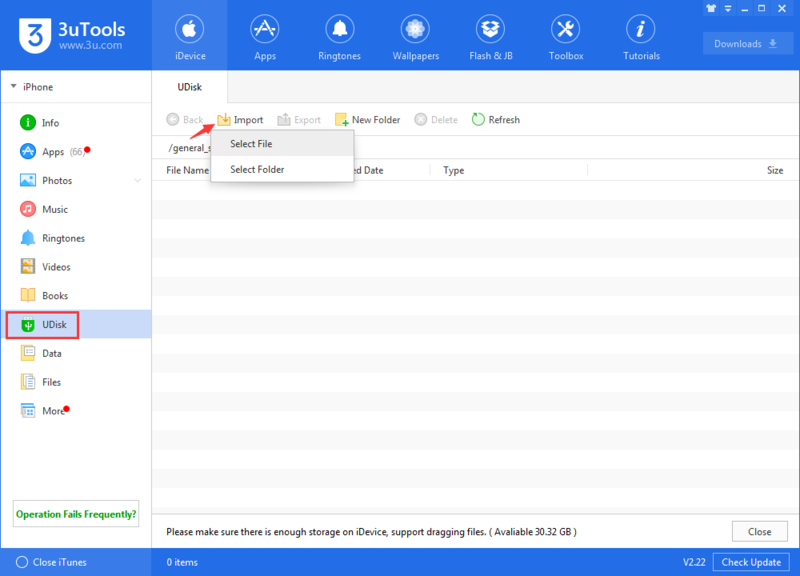 Back up/Restore is one of the powerful features in Toolbox, here is the tutorial. 3u website has a lot of tutorials and tips for you to use these effective features, you could input your keywords in the search bar. 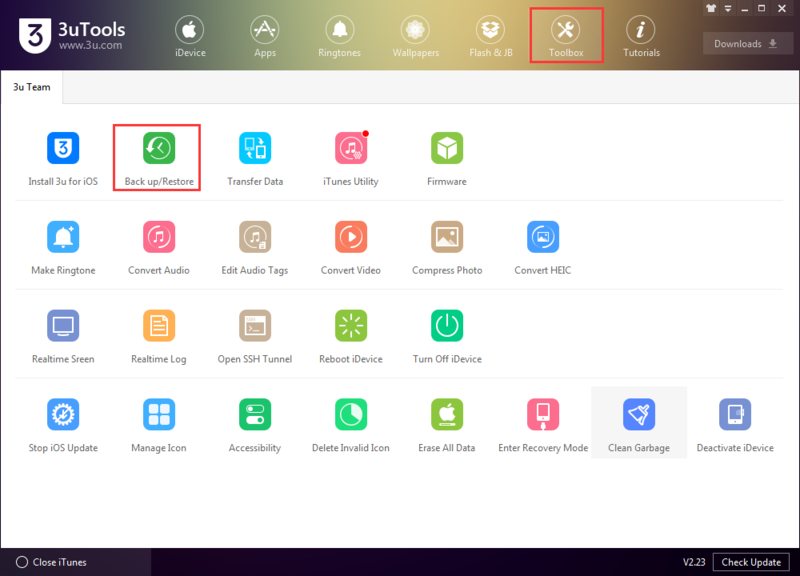 For example, if you want to transfer data using 3uTools, but you don't know how to use the feature, just input your keywords (eg: transfer data) on 3u website, the tutorial will show you all steps to operate. It's easier when you using 3uTools on your hand. We think most users are already familiar with those functions of 3uTools if you have downloaded and used for a while. 3u team thanks to all 3uTools user's support all the time, please feel free to send us your feedback. All times are GMT +5.5. The time now is 12:37 AM.